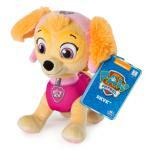 Little PAW Patrol fans can curl up and dream of adventure with their favorite pup, Skye! This 8" tall plush pup stands upright all by herself, ready for action! Skye sports her signature PAW Patrol uniform, complete with snuggly hat and PAW Patrol badge. She even has paw prints on all fours! Her soft fur and expressive face bring this beloved character to life. Give your little PAW Patrol fan a pal they can take from playtime to nap time with the 8" Plush Skye! 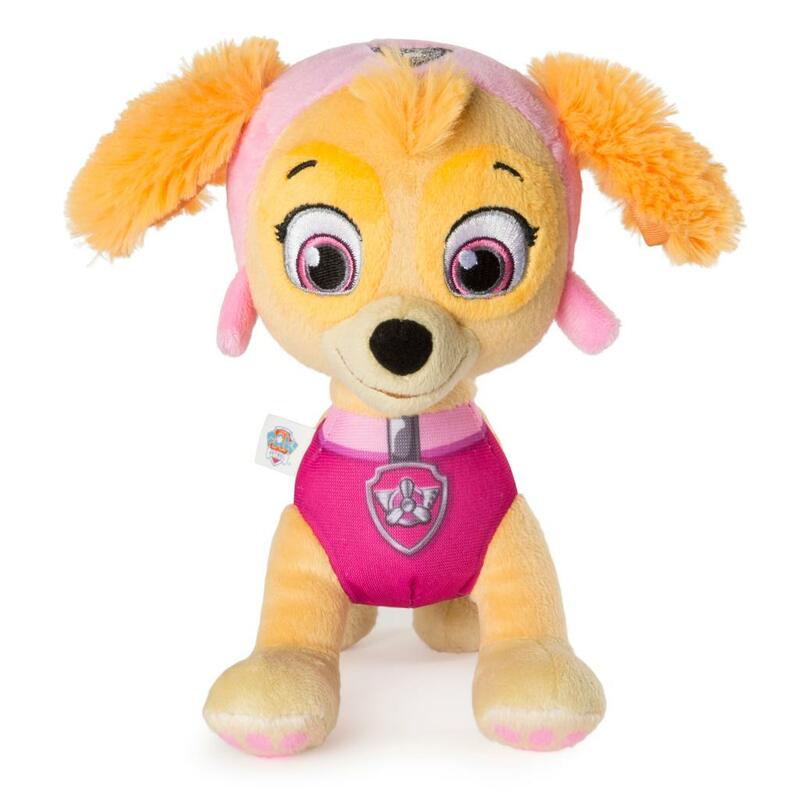 PLUSH TOY: Cuddle up with the PAW Patrol's beloved pup: Skye! This plush pup stands by herself, on paws featuring real paw prints! Measuring 8" tall, she's the perfect size for little PAW Patrol fans. 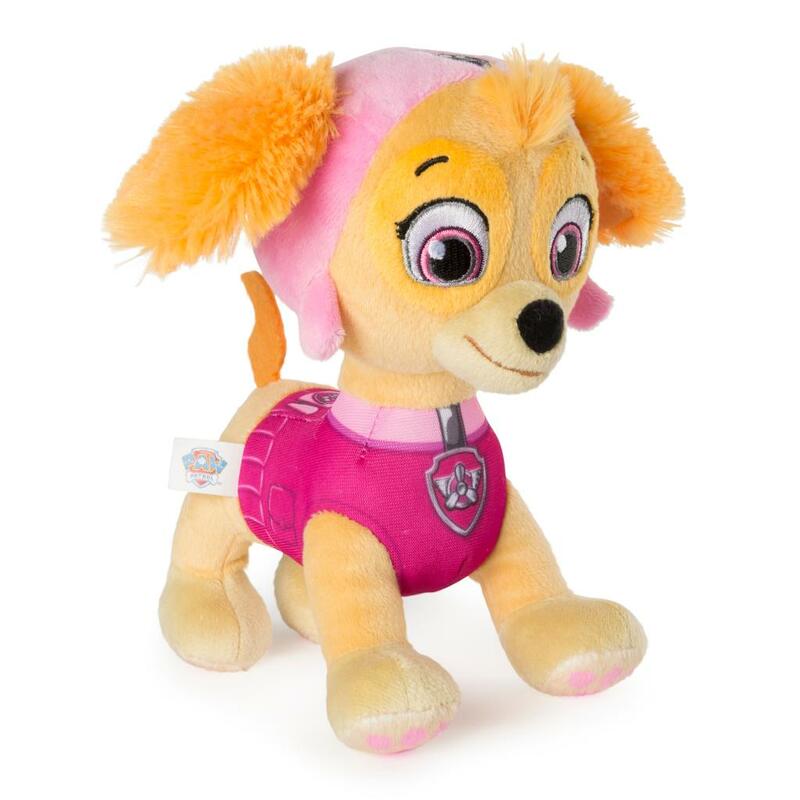 REALISTIC FEATURES: Made of snuggly material, Skye wears a plush hat and her signature PAW Patrol uniform! With realistic details, this beloved character comes to life! COLLECT THEM ALL: Add all the PAW Patrol pup plushies to your collection and recreate all the excitement and adventure of the hit TV Show! Each sold separately. PAW Patrol Plush Skye is for kids aged 3+. Bring this plush pup home for playtime fun and naptime dreams!